Dubai is a place known to be home to riches. But it was not like that some twenty years ago. There were no tall buildings, expensive hotels, luxury vehicles and the likes. It was all bucolic living, seafaring and goat herding. Then, was a lot of crude oil discovered and Dubai turned capitalist overnight. And with money comes extravagant lifestyle. But the structure of capitalism is not that Dubai has borrowed from the west or somewhere else. Though, as you look around, you may often mistake it for an American metropolis aesthetic. This is because the city inhibits a large part of the population that has migrated from other countries including the western countries as well. So the ambiance of the oil city comprises of varied elements from different cultures of the world. However, unlike other western countries take for example UK, Dubai is relatively cheaper. You can make the most of your trip to the city even if you have a very tight budget. From low priced entertainment, affordable eateries to economic transportation means, the city has something best for everyone. at the same time, it also hosts world’s premium and luxury hotels and transportation facilities for the elite class. 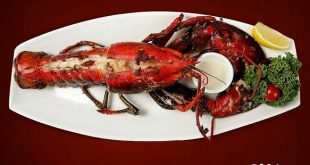 The best thing is that the city has a number of luxury restaurants offering a wide variety of seafood for the most affordable cost to tourists as well as those who have migrated here from other parts of the world. Whether you are planning to trip in a group or with family members or gonna explore the city of magnificence alone, you will not feel down. There are a variety of lodging options to find out. From five-star luxury hotels to economic accommodation, you will easily come out with the one that serves your needs the best and all this within your budget. The city has also a lot of things to do and see for children. If you are going to have a family tour of the city, your kids will surely enjoy the tour the most. From boating, diving, fishing to desert safari, there are much more to get indulge in. The best thing about the city is world’s famous nightlife. Yes, it hosts some of the world’s best nightclubs. Also, live concerts are another most liked thing about the city. Night golf, night horse riding, night markets are what will catch your attention. Shopping at night markets is quite a different experience that you will surely love. For those you want to dig into world’s most palatable seafood, JW’s Steakhouse is the right place offering an array of tastes. Here even simple foods are offered in more sophisticated and alluring manner. Homely décor, tranquility, and well-organized furniture create an ambiance that lets you feel more at home. 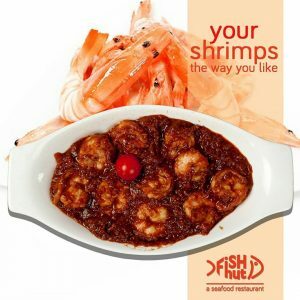 The menu is quite exciting, which includes traditional dishes to mouthwatering seas foods to pamper you. A trip to Dubai is indulgent by nature. And when done properly, you will not find many things as indulgent as an epicurean meal. So whether it is dinning at premium seafood restaurants in Dubai or at specialist restaurants, it is good to experience the city local cuisine at its best.